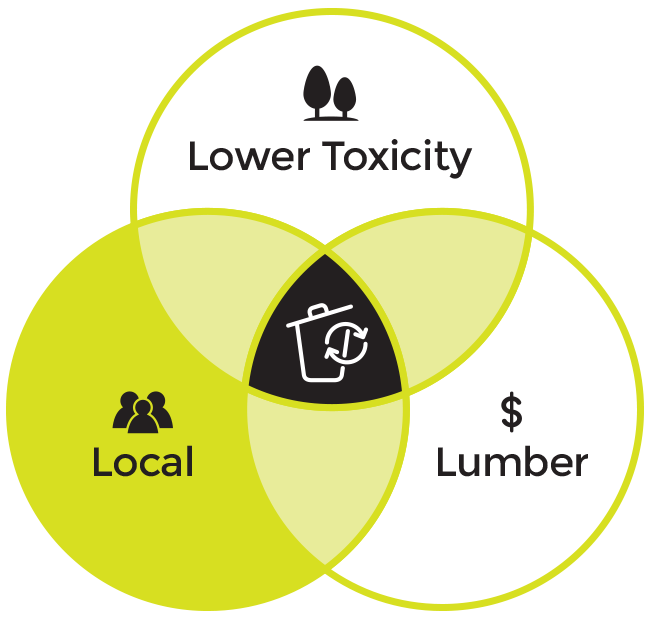 The 3L Concept connected to the triple bottom line (TBL) of sustainability. Which originated as an accounting framework that incorporates three dimensions of performance: Social, Economical, & Environmental. It is also some times know as the 3P’s: people, profits, and planet. Local, Lumber, & Lower toxicity. These three reflect the same areas of sustainability and allow theatre makers to focus their attention and choices in three specific dimensions. a.k.a Social. Who are the people in your neighborhood? And why do they matter? I want to encourage you to become more connected with your local community. Community awareness is essential in building a community around your theatre company. Forming links between your needs and resources with those of community members and organizations will establish new and strengthen existing relationships. These links can turn into future project and collaborations. In turn increasing your social aspect of sustainability and the overall impact of your creative work. a.k.a Economical. Ax your way to increased financial impact. I want to tell you a little story about a about a giant lumberjack and mythical hero in American folklore – Paul Bunyan. He is a symbol of bigness, strength and vitality. He possessed many qualities that loggers admired. He was strong, clever and independent. As a folk hero of the lumber industry, he promoted logging and its products. Countless tall tales describe his superhuman labors, in clearing forests and creating natural wonders like the Grand Canyon. I encourage you to embrace your inner Paul Bunyan and become a pioneer of the GREEN Scene! When it comes to being economically sustainable in theatre design and in scene shops be a leader that is strong and vital and independent. Make choices that are big and bold and make the most impact. 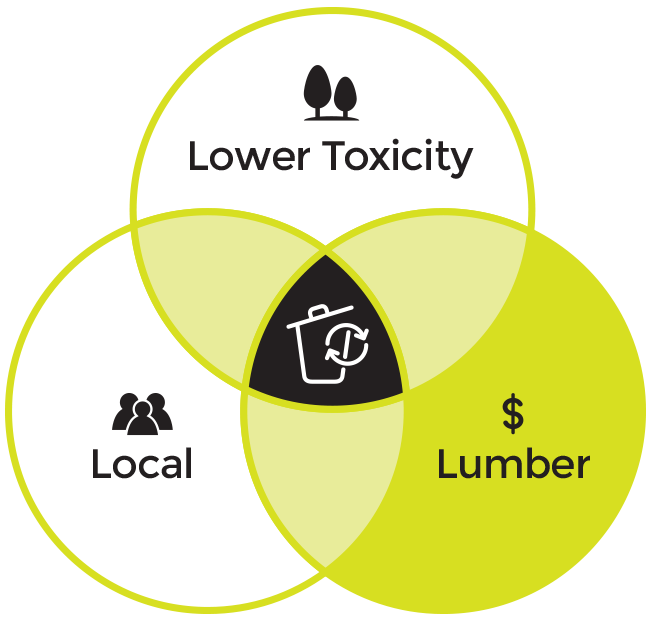 Respect and treat wood as currency, an extremely valuable resource. Protect this natural resource and its forests; be wise when choosing wood products. Use FSC Forest Stewardship Council certified products, and stop using lauan – tropical hardwood plywoods. Buy smart and less often and watch your production dollars grow with each production. a.k.a Environmental. I want to tell you a little secret – All that we have is all that we have ever had. We, as theatre makers are part of a massive ecology. Biologically speaking, we are connected to others and their physical surroundings. Politically speaking the ecology movement is working to protect our surroundings, the environment, especially from pollution. So what are you going to do with that beautifully painted backdrop or the paintbrushes that created it or the paint left over? As a theatre maker once the show closes, do you close your eyes and turn your back on the environment by trashing and dumping your creative materials? I want to tell you that the creative work you do has value even after the show closes. Be creative and resources! Find others that can benefit from unwanted materials and set pieces. Make a lasting impression through your designs, and creative work. Reduce your waste and greatly improve the impact your theatre art has on the environment. The three paintbrushes contain 10 tips for each of the three aspects. Simply choose one from each, apply it to your production and you are on your way to being sustainable. Get started!